Here are a couple shots from my recent trip up the California coast. The first kept me out of the water at a very sharky surf spot north of Big Sur. The second just scared me. 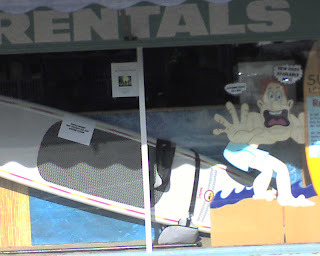 It was found in a town in Central California that was the last place I expected to see the SUP Pimp in action. 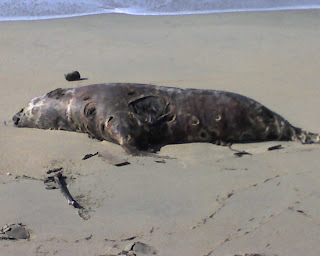 You guys don't get dead seals on the beaches in SoCal? We see them all the time up here in SF...I thought it was normal. Where did you see that one? because they pop those fvckers out in a factory, they're everywhere. Ruining our environment like disposable pastic bags.